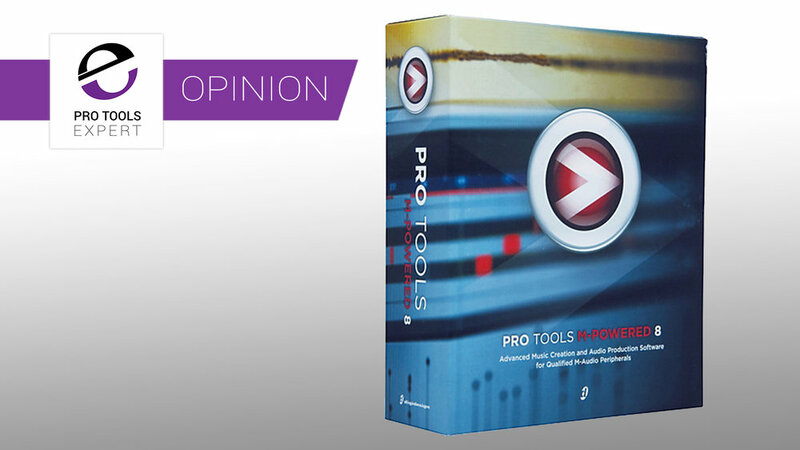 Pro Tools | Why There's No Pro Tools 13 - Superstition Or The Changing Face Of Software Distribution? Why There's No Pro Tools 13 - Superstition Or The Changing Face Of Software Distribution? NAMM is almost upon us and Avid, along with every other audio brand on the planet, hopes to woo you with their latest offering. You know the drill by now "more", "faster", and "cheaper" or at least we hope that will be the case. That hasn't gone, but the days of a pullback of the curtain and a 'tada!' are fast disappearing for a number of reasons. I was talking with someone a few days ago and recalling that the first version of Xpand (not Xpand2) was available for free at a London music show as a DVD. I went to that show just to get the first free Pro Tools virtual instrument and also to see all the other new stuff Digidesign (which I still think is a better name) were showing. You see there was a time when the only way to see new stuff was to go to a trade show like NAMM or Messe. Before the web, email, YouTube and social media, there were no forums, no websites, no emails and no online videos of products. The first time most of us saw and hopefully touched a new product was at one of these shows, and then we would wait what felt like months for the magazines to print reviews filled with glossy pictures one would dribble over. The fact that a magazine like Sound on Sound survives in this modern era of instant news and reviews is a testament to the quality of their writing and the content they produce. Now most of us will see the revelation of a product and know it in intimate detail without having to leave the comfort of our sofa - which means that for product announcements trade shows are largely irrelevant - when I go to one; it's to hang out with industry friends and to connect with new people. My last few trade shows have been spent either sitting in hotel lobbies, bars or over meals talking about business. Anyone who has was at Musikmesse 2017 would have seen this played out in depressing reality, with many large brands abandoning the show and those who did bother did so with a significantly reduced presence. This lack of interest was partly to do with some changes in policy at Musikmesse as well as the changes mentioned above. Now a new product announcement is planned with military precision with a video, or two, or three. There's a web page with information written to give you more detail than an average human can be expected to take in, in many cases, there is even a download of software so you can try it yourself. Then there's the email to tell you about the announcement which is timed to the second to hit inboxes the moment the brand is ready to tell you about it. Secondly, software distribution models are changing; some software is still 'sold' but much of it, especially software with of a perpetual nature, now uses a subscription model. For example, if you are a user of an Adobe product like Photoshop CC then you will be mostly unaware of updates and changes to the software. I use Photoshop every day, and I use it a lot, but I could not tell you what version number I have. Now and again I discover a few new features installed with a new update. There's no grand announcement. Perhaps if I was bothered, I could visit the website and see all this new stuff, but I just need to get work done, so I don't take much notice as long as it keeps doing what I need. This kind of transparent software evolution is only possible because of the software delivery over the internet and a subscription pricing model - it would not have been possible when I had to go to a store to buy a disc with the software on. When I look in detail at my Adobe CC account I can see there have been a lot of small incremental software updates over a year. This update strategy was not possible in the 'good-old-days' so a company would save it all up into one big software release and make a new version. Of course, that new version would have a new number, often the next one along with Windows 7 or Pro Tools 8. Of course, there have been times when brands have gone off-piste and used different version numbers like Windows 95, but this was less likely. One could say that this new numbering system is just a rose by any other name, perhaps so, but it is a response to a world where software development, sales and distribution are a far cry from the days of boxed software and grand announcements at trade shows. As I've already outlined the world has changed, and whilst the internet has brought us instant gratification from the moment the product is announced to the day we actually get it, I have to say I do miss the excitement of a trade show, the magazine dropping through my letterbox so I could get my hands on it and then, at last, visiting the store to buy the boxed software. It is highly likely I'm looking back with rose-tinted spectacles, the vast majority never get the chance to visit trade shows. But even sitting on the toilet scouring the pages of Sound On Sound or Keyboard and visiting the stores brings back memories that fill me with nostalgic warmth and make me smile. I used to have a bookcase with all my software boxes lined up like the works of Shakespeare; I even dusted them! I don't think the lack of a Pro Tools 13 is anything to do with Avid being superstitious; they are merely facing the fact that the days I've already spoken of are gone. Yes, I miss them, but at the same time, it's nice to open your software to find bugs fixed and new features without any grand announcement. And let's be honest who wouldn't rather have that, instead of the marketing froth that often accompanied new product announcements only to be left with a feeling that the product never quite lived up to the promises made?